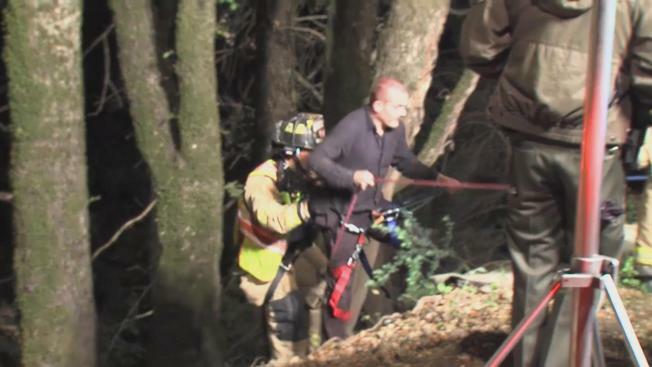 Rescue crews pulled a man to safety Sunday morning after his car plummeted 150 feet down an embankment off Highway 9 in Saratoga, according to the California Highway Patrol. The solo-car accident happened just after 1 a.m. The man became trapped inside the car and had to be pulled out by rescue personnel. He was taken to a hospital, where he was in stable condition, the CHP said. It was not yet known whether alcohol, drugs or speed were factors in the crash.